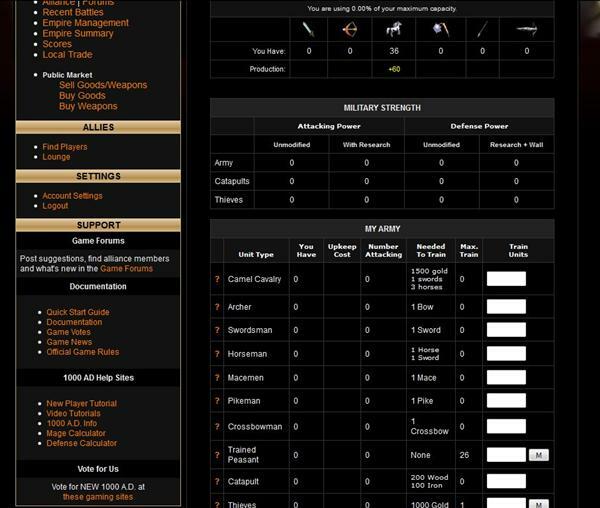 New 1000 AD is a free online turn-based strategy game that can be played on any web browser. 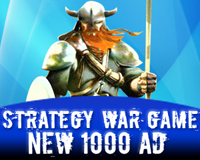 Your objective is to build up your medieval empire from the ground up and wage war on your fellow players. This is a text based game developed by Ader Software. In the game you send explorers to conquer free land for your empire, while building mines, farms, houses, wood mills, town centers etc. to use up that land. 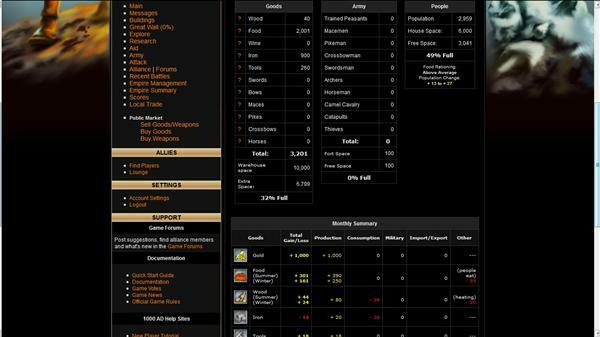 Your empire and its people need resources to survive, and producing them costs resources. 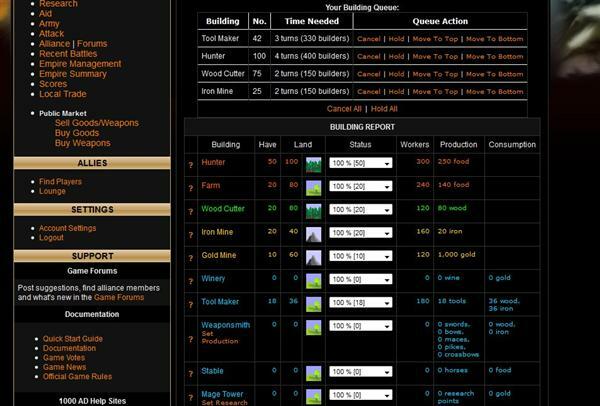 Resource management and how to grow as fast as possible is a key element to this game. Every turn you gain more resources, based on what buildings and workers you have. 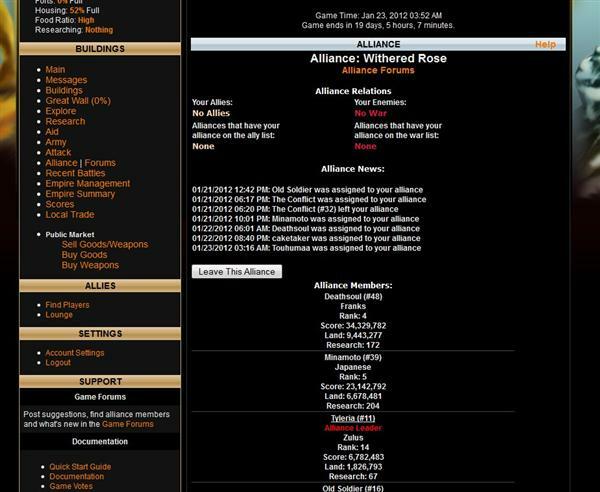 Initially you cannot fight with other players as your empire is too weak for that. You are also protected from other players attacking you. By the time you finish your protection period, you should have an army or at least an ally ready to defend your empire. Before that, you should just focus on organically growing your empire. 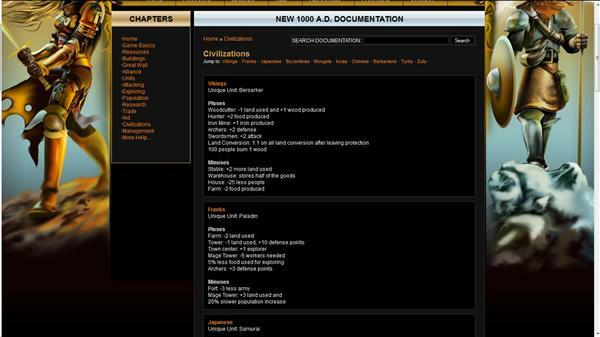 There are 10 civilizations in the game and each has its different optimal playing strategy that you should strive to use and master. The civilizations you have to choose from are the Vikings, Byzantines, Chinese, Japanese, Zulu, Barbarians, Incas, Franks, Turks or the Mongols. There are many ways you can attack an enemy’s empire in the game. Including full on army attacks, conquest jobs to take land from the opponent, stealing resources or research, and many kinds of attacks aimed at weakening your opponent. The biggest empire is declared the winner at the end of the game season, which lasts for 21 or 28 days, depending on the game mode you choose. Taking only a few minutes to read the quick start guide is all that is needed before you know enough about the game to start playing it. Mastering the game takes time however. The Standard is a 28 day round with turns coming every 9 minutes and Blitz is a 21 day round with turns coming every 3 minutes. Related Tags: strategy, Text Based, Turn Based.